Residents of the Stafford Hamlet and surrounding areas gathered at Fiala Farms in September 2017 to celebrate the resolution of a land-use battle that had embroiled the community in a heated debate for the better part of a decade. The first-ever Stafford Family Festival was also a chance for friends and neighbors to create connections and learn about the businesses, farms and people that make the Hamlet so unique. More than 600 people attended, including elected officials from Lake Oswego, West Linn, Tualatin and Clackamas County. "It was beyond our hopes and dreams. 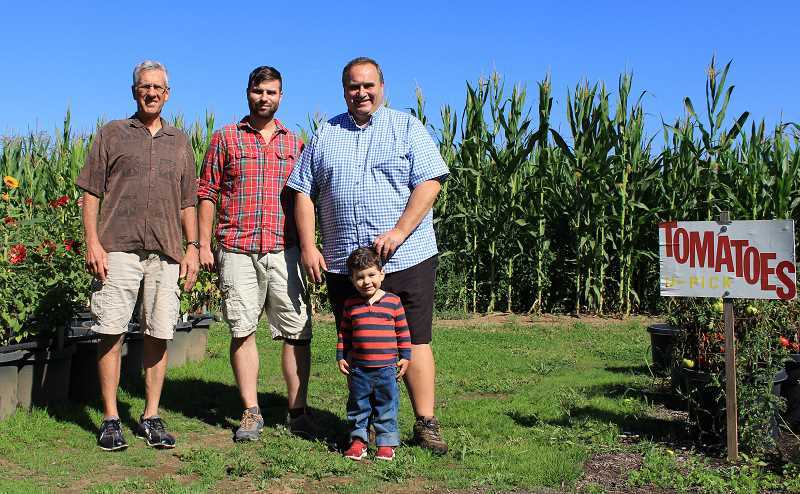 It was a great turnout for a first-year event," says Rich Fiala, owner of Fiala Farms and a member of the Stafford Hamlet Board of Directors. "We're expecting an even bigger turnout this year." The second-annual festival is scheduled from 10 a.m.-4 p.m. on Saturday, Sept. 15, at the 112-year-old farm at 21231 Johnson Road. Fiala and festival committee Chair Bill Markt say it's a great opportunity to familiarize residents of Stafford and neighboring communities with the people, policy issues and future decisions facing their hamlet. Tualatin, Lake Oswego and West Linn joined with Clackamas County and Metro to sign a five-party Intergovernmental Agreement (IGA) last year that gives the three cities greater control over the future of the 6,230-acre Stafford urban reserve. But the cities still must come up with a second IGA to clarify how and when they'll work together to determine the timing of development of any part of the area that goes inside Portland's urban growth boundary. "This event is about building community, and part of that energy isn't just from within the community, it's the surrounding area as well," Markt says. "As important as it is for us inside to tie in with our brethren, our neighbors, these folks on the outside are just as important." The Stafford Family Fest will feature more than two dozen informational booths from local businesses and organizations, including Kordell's Garden Center, Parr Lumber, Clackamas Soil & Water Conservation, Youth Music Project, Oswego Heritage Council and the Portland Beekeepers Association. Food will be available from the West Linn Lions Club, as well as beer and wine tasting from Tumwater Winery and Willamette Ale & Cider. There will be cider press demonstrations and a variety of games —a three-legged race, bobbing for apples, a ball toss, a corn hole competition and more. Activities such as a cupcake walk, face painting and balloon hats will keep kids busy throughout the event, as will the pumpkin patch and corn maze. Make sure to check out the farm store for fresh produce too. The second annual Stafford Family Fest was made possible by sponsorships from Treadline Hardwood, Corner Saloon and Parr Lumber. The event is free and open to the public. When: Saturday, Sept. 15, from 10 a.m. to 4 p.m.